Thamar wants to help you improve your running! So after competing in the Fittest in Cape Town and watching The Test of Fitness (if you have not seen it then you should really watch it -http://www.youtube.com/watch?v=3eGgWEr-Vv8), I realised that Crossfit isn’t just about strength training or weight lifting but about fitness. One of the key elements of fitness is running. Now here’s where I come in – I love running. I know a lot of athletes at the box despise running and put it off if they can. And the more they neglect running, the harder it gets. So I want to help! I want to start a running group every Tuesday morning at 7am. It will be a completely non-intimidating group run where we will wait for everyone and only run a few kilometres to start. After a few weeks, once we feel more confident, we will branch out into longer runs and trail runs as well as do the odd interval or speed session. And I promise it will be fun! 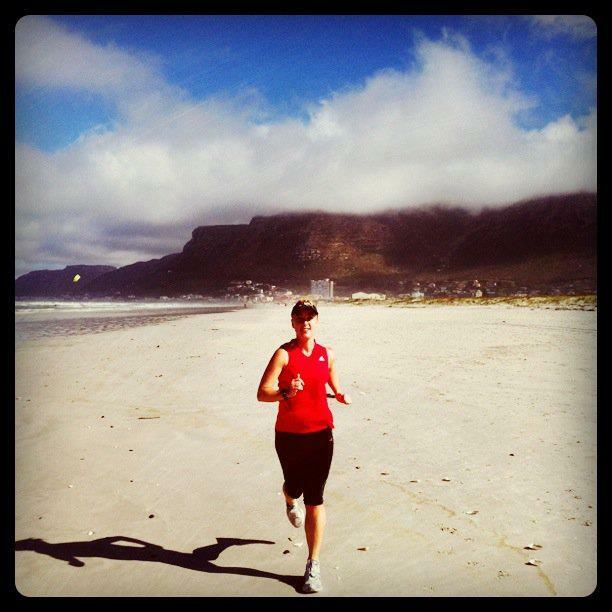 If you ask real nice, maybe Thamar can put one of the Running Club sessions on the beach..? PS. You’re also invited to: Our Red Sock Run from the Lighthouse in Moullie Point every Friday at 6am (could change on public holidays). Details here: https://www.facebook.com/events/341713309289407/?ref_dashboard_filter=upcoming Coach's notes: We get many requests of people wanting to get involved with what we do, some of them good and some of them maybe not the right fit. But when Thamar approached us we didn't hesitate for a second - we know this will be great for our CCF ninjas!